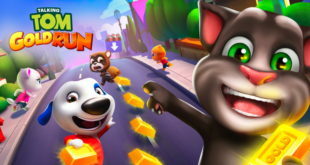 The firm’s Talking Tom and Friends franchise has also reached its 4.5 billion download mark. Firm becomes exclusive sponsor of Mobile App category. Talking Tom & Friends now has 230 million monthly active users - more than Instagram and fast catching Twitter. We find out what's next for the brand.